Thank you for your interest in Jack Kotz! We will respond to your inquiry as soon as possible. 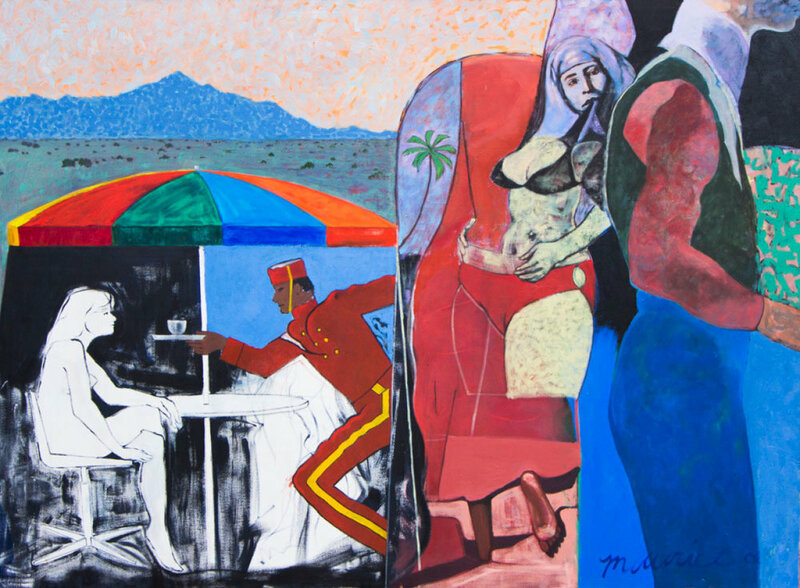 Peters Projects is proud to present Various Forms of Association, an exhibition of work by Santa Fe based painter Maurice Burns, who is now being represented by the gallery. There will be an opening reception on Friday, December 14, 2018 from 5-7pm. 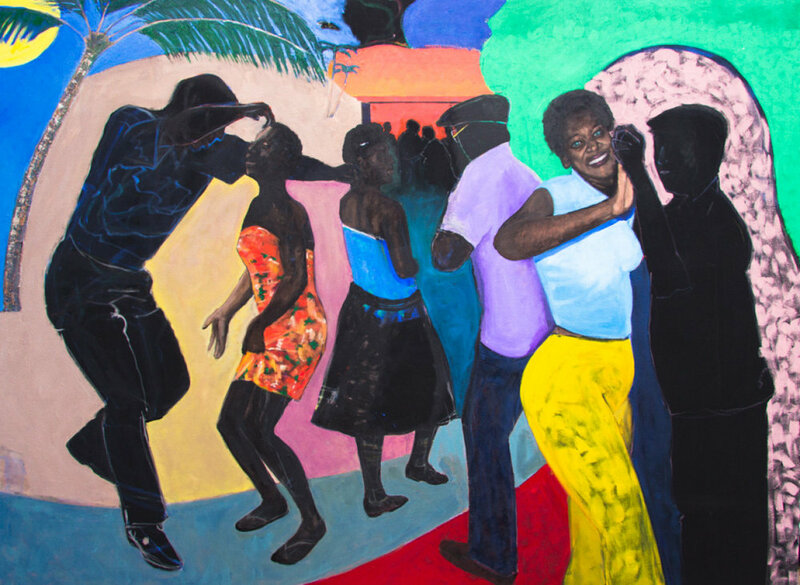 A graduate of the Rhode Island School of Design and The Royal College of Art in London, Burns has had an extensive career showing at multiple galleries and museums. Burns’ work is often inspired by his love of music, jazz in particular. 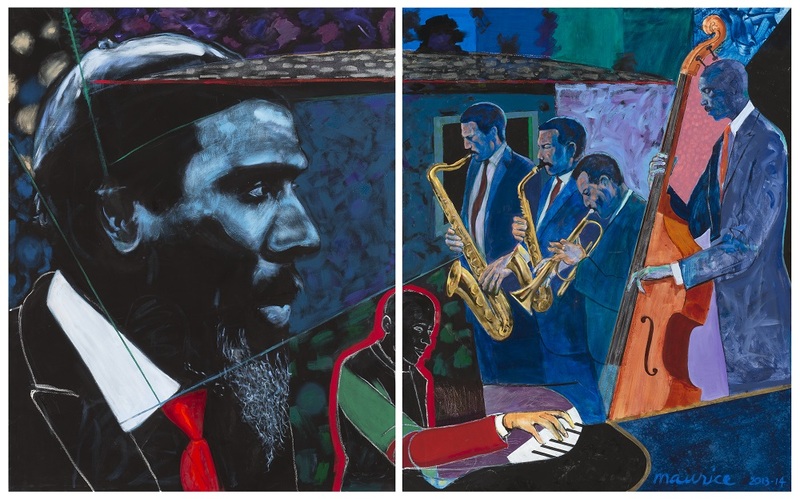 Miles Davis, Jimmy Yancy, swinging Harlem nightclubs, Southwestern honky-tonks and Cuban nightclubs are just a few of the subjects of his paintings which are notable for their vibrant color and superb composition. 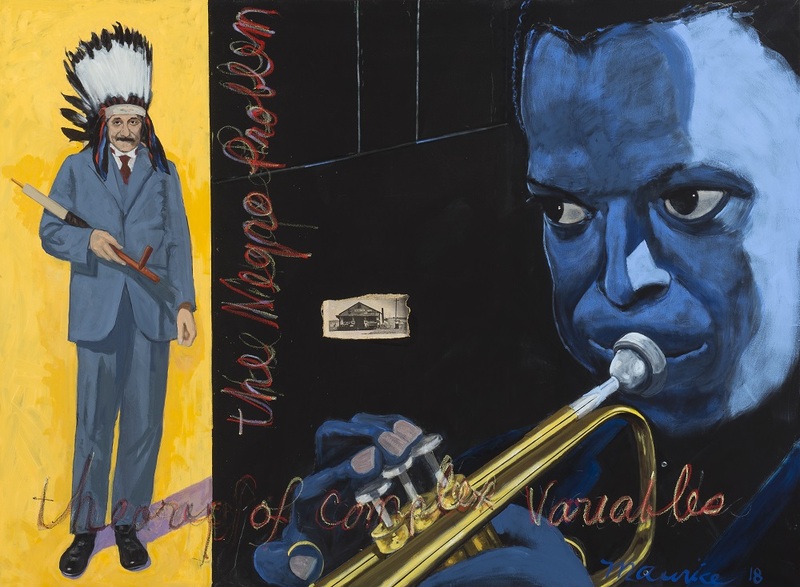 Additionally, some of Burns’ paintings inhabit a liminal, surreal space that includes Native American imagery and dream-like figures that appear to hover on the canvas. No matter the setting of Burns’ paintings, they always incorporate his remarkable draftsmanship and affinity for figurative work, as well as his playful exploration of scale and collage-like layering of subjects and symbols. Burns has received two MacDowell Colony Fellowships at the Edward MacDowell Colony in Peterborough, New Hampshire. In 1975, Burns was invited by John Torres to teach at the Institute of American Indian Arts in Santa Fe, New Mexico. Burns has since remained in New Mexico where he has worked in the film industry and maintains a studio. Burns work has been shown at: Royal College of Art, London, I.A.I.A. in Santa Fe, NM, The Fine Arts Museum of New Mexico, the Albuquerque Museum of Art, New Mexico, and Center for Contemporary Arts Santa Fe, New Mexico. 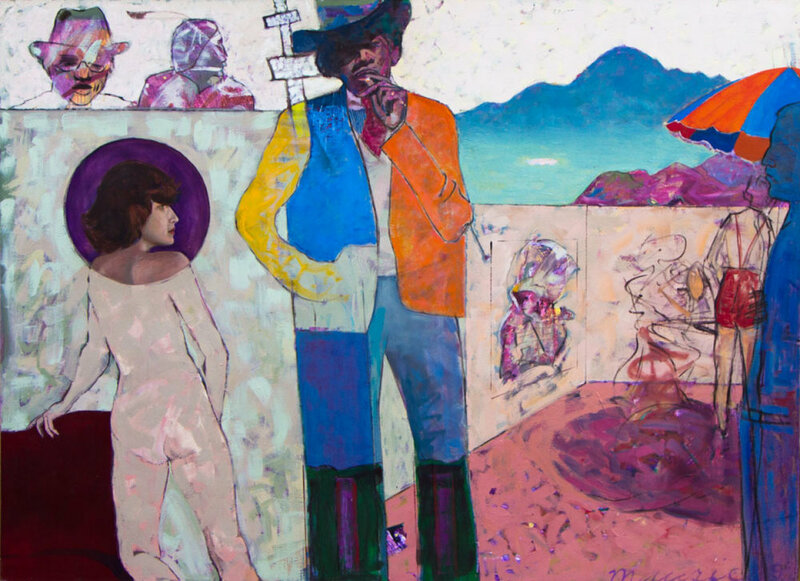 He was included in the 1977 book Black Artists of the New Generation by Elton Fax, and has been featured in Santa Fe Art, Davenport’s Art Reference, Santa Fe Arts Journal, and THE Magazine. The exhibition will run December 14, 2018 through March 15, 2019.